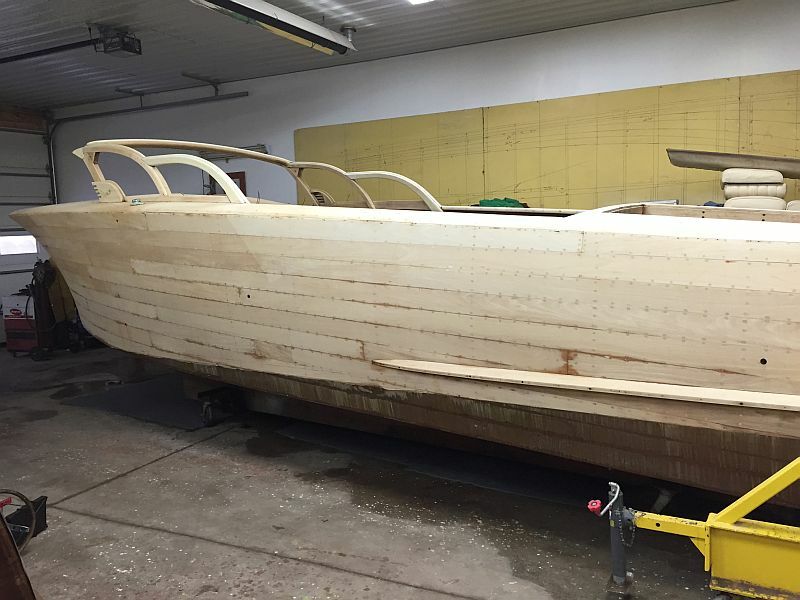 This amazing craft was painstakingly restored by Bergersen Boat Co. 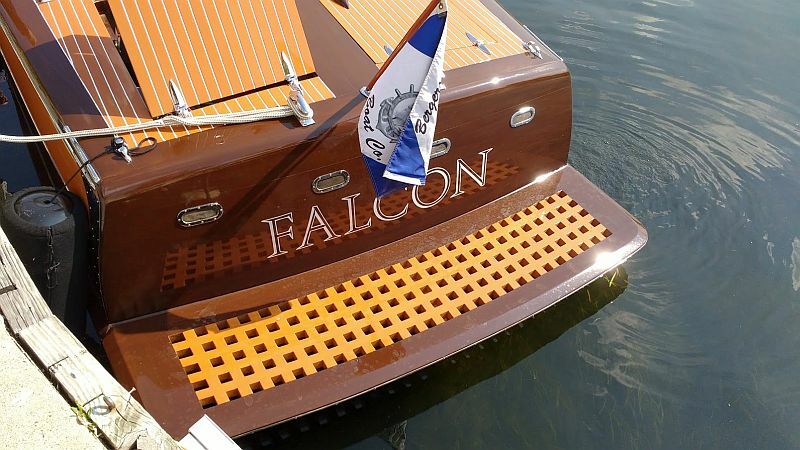 This hull is #13 in the first series of 27′ Shepherds built with a beam of 9′ 6″. 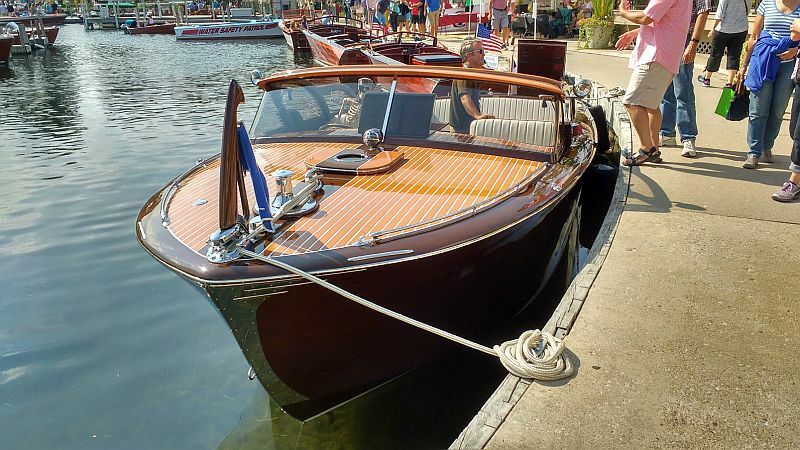 This boat boasts the rare 331 Chrysler Hemis first offered in 1953. 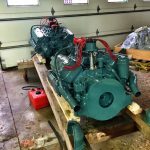 The engines were just overhauled including the Chrysler V-drive transmissions that have all reconditioned clutch packs and seals. Top speed is 42 mph. 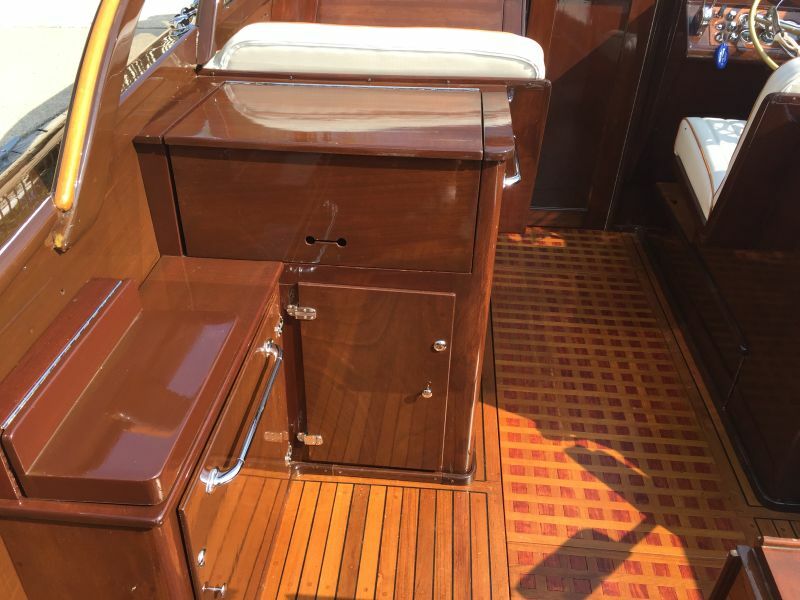 This boat comes complete with kerosene stove top, head, original stainless cooler and sink. 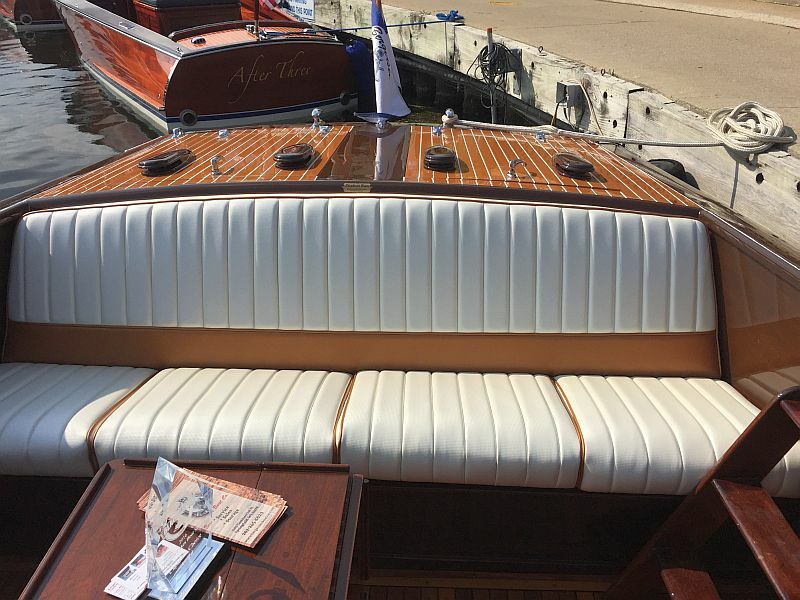 The bottom is original and the hull sides have been refastened with silicon bronze screws. All bungs were made from original old stock Honduras Mahogany from a ‘donor Shepherd’. This craft has the original throttle and shift control levers that have been custom machined to operate modern control cables. You will never find a smoother shift on a Shepherd. 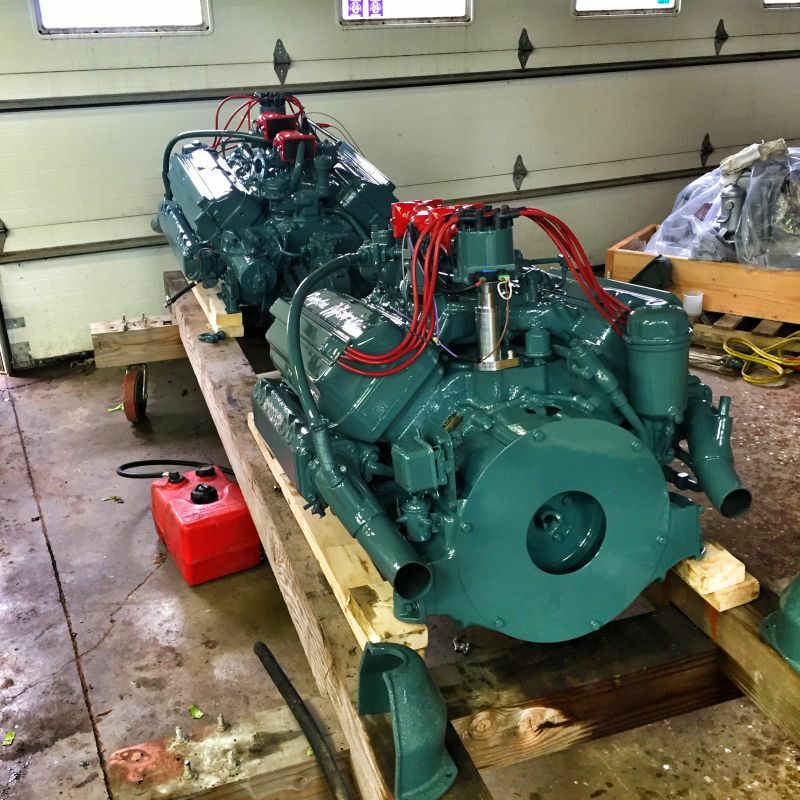 The 200+ HP Chrysler Hemi’s have modern Delco electronic ignition systems that we machined parts and adapters to accept this incredible upgrade. With this new ignition system the engines run better than they did when brand new. The boat has 15 coats of Epifanes varnish just applied, restored windlass winch for the anchor, a custom built mahogany swim platform which mirrors the intricate Bubinga and teak grating on the floor in the boat. 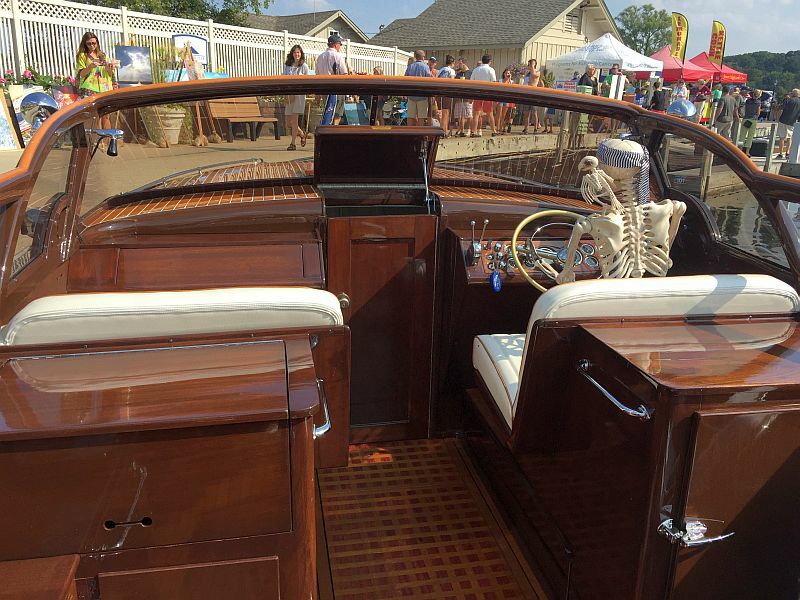 Winner of the 2016 Geneva Lakes Boat Show Captain’s Choice Award.